The nominations for the 2017 Homecoming court are going digital! All nominations for this year’s court will be accepted online. There are two ways to nominate your classmates. 1) Join the Homecoming Nomination Class in Google Classroom (code r0bz5m) and complete the Google Form. 2) Go to https://goo.gl/forms/t9DxFgpkNuBRWqrx1 and complete the Google form. 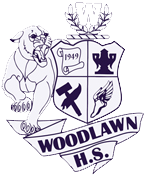 You must be logged into your Woodlawn High Google account to vote. All voting will close on September 25 at 2:40pm. Students must have a 2.5 gpa and no serious discipline issues to be considered for the court.